Even though we have access to plenty of water coming right out of the tap in our homes, Forbes Magazine has reported that Americans are now using a million plastic bottle per minute. Let that number sink in for a minute. A million plastic bottles every minute. Forbes also reported that 91% of those are not getting recycled. We have to do something about this! What are we doing to our environment? And, more importantly, what can we do to stop it from continuing? Some people worry that the water available to us in our homes is not as safe as it should be, so they go out and purchase water in plastic water bottles as a solution. But, is that the best we can do? And is it a safe alternative? NO! 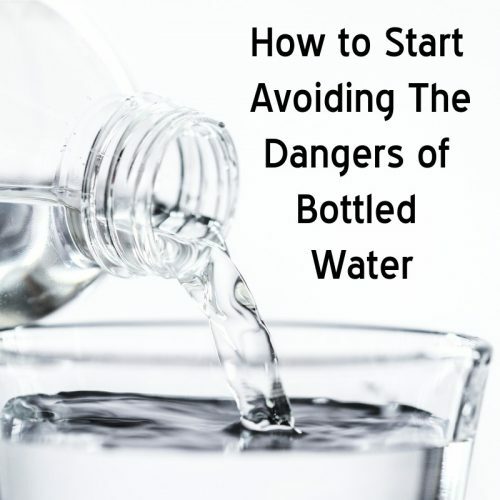 Plastic water bottles may seem like a good solution to avoiding the toxins that are often present in our residential water supplies, but you are exposing yourself to a whole new danger when you reach for that easy fix. When you sip the water from that convenient plastic container, you are also potentially sipping a chemical called Bisphenol A, also known as BPA, which has been linked to dangerous health issues such as developmental disabilities in children and several types of cancer (livestrong.com). We are trying to get the dangerous toxins out of our water, not add more dangers to the situation! Let’s focus on making our residential water safer and taking those plastic water bottles completely out of the equation. Aquabelle provides solutions for making your local drinking water safer for your family so you can stop buying plastic water bottles. We want you to know that your local drinking water provider should routinely monitor the water quality in accordance with State and Federal laws. 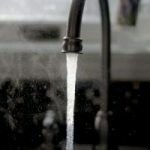 On an annual basis, the provider should make available its findings after conducting various tests to quantify the levels of possible contaminants in your water. If you do not get the annual water report in the mail, then ask for one from your local water company or city water department. Once you know the quality of your water, you can simply install a filtration system and start drinking safer water right from the tap! Instead of grabbing those single use plastic bottles, we highly encourage refilling BPA free water bottles with Aquabelle filtered water. There are several filtration system options available at aquabelle.com that will help you begin to take control of your water quality. If the health concerns are not enough of a reason to make the switch, you should know that filling a 16.9-ounce bottle with tap water costs about 1.3 tenths of a cent, compared to an average of $1.25 or more to buy bottled water. If you were to refill a 16.9-ounce bottle with city tap water every day for a year, you’d pay 48 cents. Let me repeat that: That’s 48 cents for the entire year! In comparison, if a bottle of water costs $1.25 and you buy 1 every day, that’s $456! That’s almost 1,000 times more expensive. And, most of us drink more than 1 bottle of water per day. If you drink the recommended 8 glasses per day, you are now up to about 4 bottles per day which is about $1,825 per year in bottled water. Refilling your own water bottle with AquaBelle filtered water costs $0.05 per gallon! So, if you are looking for a more cost effective solution then investing in a residential water filter could be the answer you have been looking for. Forbes Magazine reported that it is estimated that over half a trillion plastic bottles are expected to be sold in 2020. Let’s each do our part to bring that number down by making the water in our homes safer and filling up our reusable water bottles everyday for every glass of water! Installing a water filter in your home saves your family from several health risks related to water consumption and can be a major money saver. And, you will be doing your part to help save the environment. It’s a win-win-win-win!